*According to published information as of August 2018. (and they run street hockey games and host Tim Hortons nights!). You can become one of over 17,000 SGU doctors and veterinarians practicing in the US and around the world. Founded in 1976 with the goal of drawing the best talent and practices from around the world, St. George’s University has become a leading center for academic excellence worldwide. With students and faculty drawn from over 140 countries, we truly are an international institution, with a uniquely global perspective, perfectly poised to help educate students in this rapidly shrinking world. The Canada Scholarship offers partial tuition awards to Canadian citizens/permanent residents who exhibit academic excellence, demonstrate financial need, and are dedicated to the enhancement of medical care systems. These awards are grants-in-aid and do not have to be repaid. TO APPLY: Students applying for the Canada Scholarship should apply using the Canada Scholarship Application. Students will also need to submit the Confidential Financial Statement form. The University offers medical and veterinary medical degrees in its Schools of Medicine and Veterinary Medicine, and independent and dual graduate degrees in the sciences, public health, and business. View a full list of academic programs here. 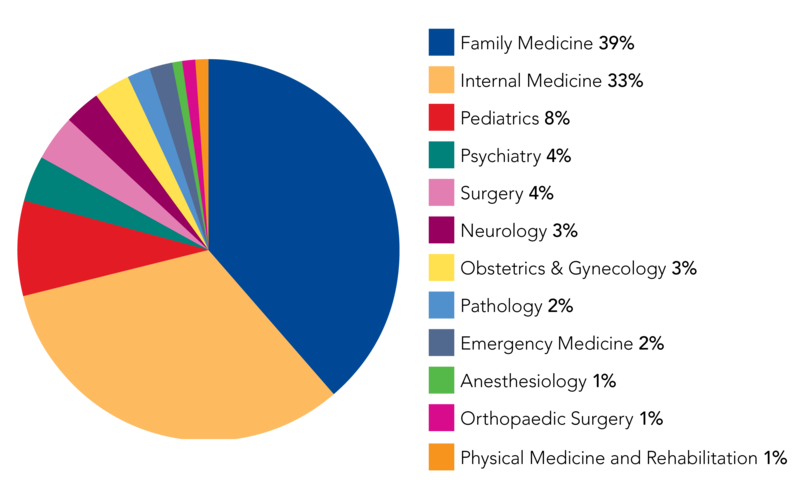 Offering a US-centric medical and veterinary medical degree programs, entry points are available for students from any education system around the world—including a four-year program for those entering with a traditional baccalaureate degree and five-, six-, and seven-year programs for those entering with international degrees. Our education standards are high as witnessed by the number of accreditation and approvals, including the Caribbean Accreditation Authority for Education in Medicine and other Health Professions (CAAM-HP), the Government of Grenada, American Veterinary Medical Association Council on Education (AVMA COE) and many medical boards throughout the United States. Students enrolled in our medical education program spend two years studying the basic sciences followed by access to clinical training opportunities at over 70 affiliated hospitals and clinical centers in the United States, Grenada, and United Kingdom. Students enrolled in our veterinary medical education program spend three years in Grenada studying the basic sciences followed by clinical training at AVMA-accredited veterinary schools in the United States, Canada, United Kingdom, Ireland, and Australia. What undergraduate institutions do Canadian students come from? Deciding where to pursue a medical education can be difficult. One of thing to consider is whether to wait yet another year to see if you are accepted into a Canadian medical school, or start with St. George’s University, which has helped many Canadians become successful doctors. 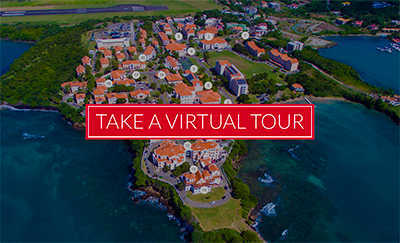 To help take some of the stress out of the beginning of your medical career—and to make the most of your time, SGU will refund the tuition and administrative fees for students who start in the January MD program at SGU if subsequently they are accepted and matriculate into a Canadian medical school the following fall. Pay It Forward is available to Canadian citizen/permanent resident MD students matriculating in the January class. Students are identified during the admission application process and must fill out the Canadian Pay It Forward Application Form upon acceptance into the University. St. George’s University School of Medicine and School of Veterinary Medicine offer a range of entry options into the Doctor of Medicine program for applicants of all ages and academic qualifications. Based on their academic background, applicants will enter a seven-, six-, five-, or four-year MD program. Students presenting secondary school (or Advanced Level or International Baccalaureate) credentials are placed into the five- or six- year programs based on academic background and performance. 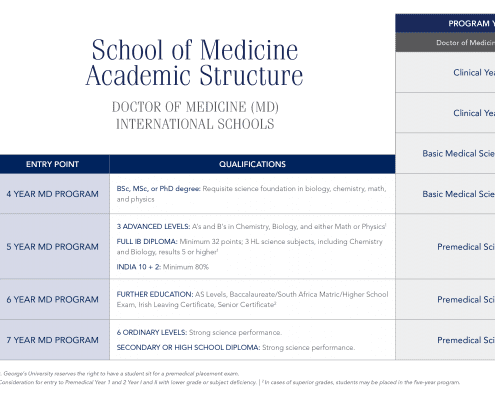 Students from the US, Canada, or a North American based educational system who hold a bachelor’s degree typically enter the four-year Doctor of Medicine program. Most students complete the program in four calendar years. However, students who matriculate in January complete four years of instruction over a four and-a-half-year period due to the scheduling of the clinical sciences portion of the program. 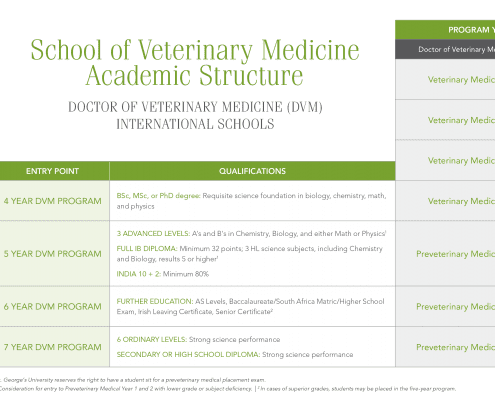 This chart outlines the entry requirements for each program and indicates where a student would typically begin the MD or DVM program based on their academic credentials. *Consideration for the seven- and six-year MD or DVM Program with lower grade or subject deficiency. The first thing you notice when arriving in Grenada is its temperate climate and rich topography. Approximately 22 miles long and 12 miles wide, Grenada is 133 square miles of some of the most varied terrain in the Caribbean – from mountains and rainforests to stunning mangroves and dwarf forests. With average temperatures that range from 75ºF to 85ºF (24ºC to 30ºC) and tempered by steady, cooling trade winds, you’ll find that Grenada is the perfect place to study, forge new friendships, and enjoy a variety of activities both on and off campus. After completing clinical rotations in the US, UK, or Grenada, many of our students apply to complete their post-graduate training (residency training) in the US, UK, or Canada. While others would like to return to their home country. Our Office of Career Guidance can provide information on securing post-graduate training in the US, UK, Canada, and in some jurisdictions around the world based on the history of graduates who have gone through the process in the past. However, the rules governing the licensing of physicians within jurisdictions (countries, provinces, states) change all the time and students are expected to keep themselves apprised of the regulations regarding the registration/licensing of physicians in whatever jurisdiction they are interested in practicing medicine. Fill out the form to connect with SGU about your future medical education. One of our current students or admission advisors will reach out and give you more information about our medical programs. By submitting this form, you agree to be contacted by phone, email or text about your education at St. George’s University.